Too often I find that life gives me the test first, and the lesson afterwards. 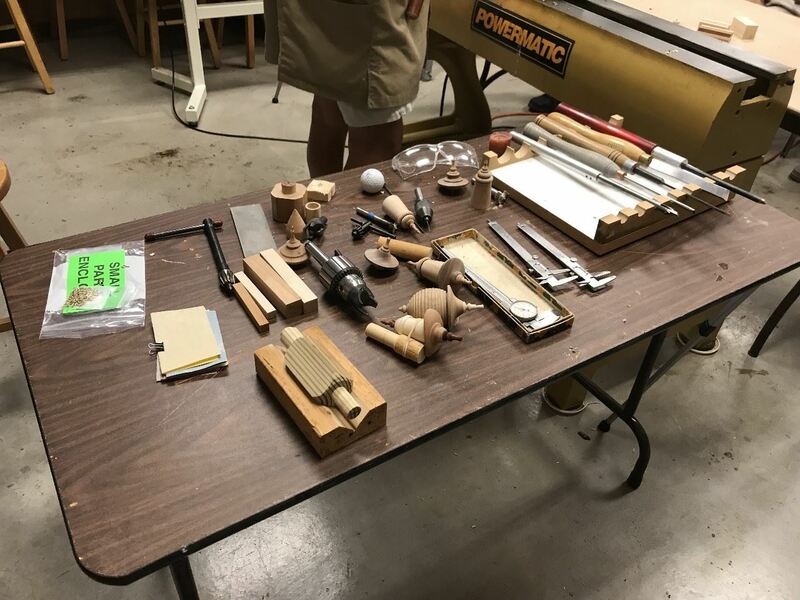 Such was the case recently in my wood shop. I finally bought a new full-size lathe. No more changing belt positions. No more snugging the clamps holding my old lathe down. Like a man on a mission, I quickly assembled it upon arrival. "I should whip out a fresh bowl in no time flat with this thing" I said to myself. Instead, I got exactly the opposite. Everything felt different. It sounded different. It turned different. All of my usual comforts were gone. The behemoth now standing, quite firmly, in my shop had changed every comfort I felt at a lathe. It took me three times longer to make a bowl. Once I finished, I was surprised to see how well the bowl came out. The sides were glass smooth. The finish was consistent all around. The side-to-bottom transition was stellar. "How could the lathe make such a difference?" I pondered. It had nothing to do with the lathe. The difference was me. I slowed down. I took my time. I paid more attention to every cut, because every cut felt so different. In short, I was more focused on quality. I learned a great lesson that evening. One I hope to remember for a long time. 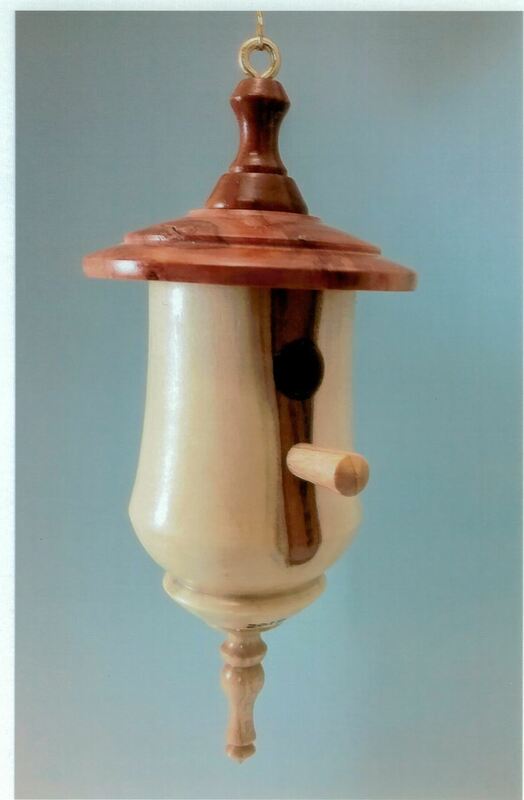 Club member Ralph McKee has really mastered the art of making birdhouse Christmas ornaments. Here is one example of his amazing talent. 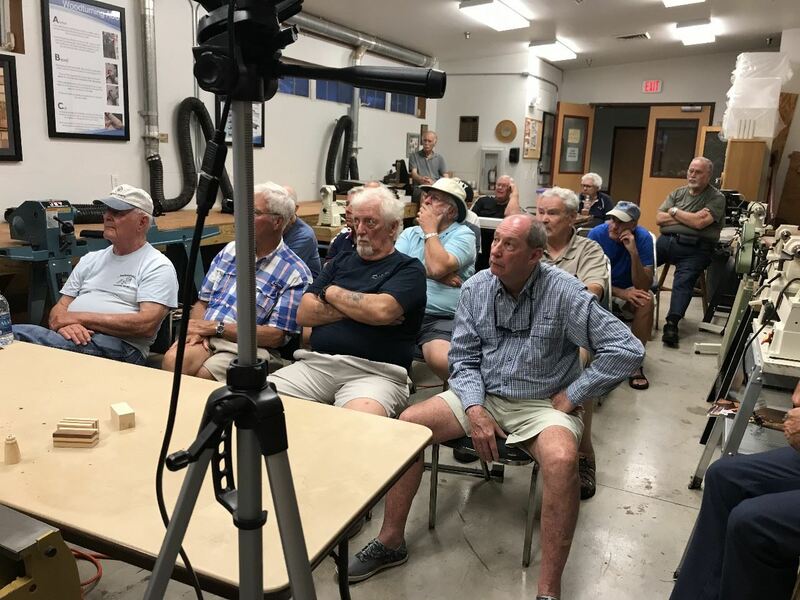 The March Saturday open turning session was a full house again. You can tell just how busy it was by the fact someone forgot to take any pictures! Epic presidential failure on my part, my apologies to everyone. I promise to do better next time. I do have a good excuse though. I was learning to turn pens! 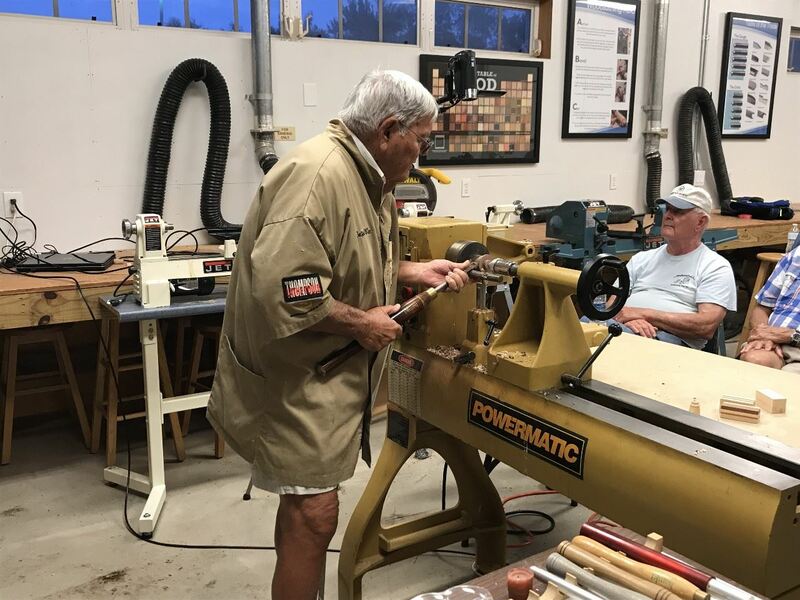 Several members including myself participated in pen turning lessons hosted by club secretary Phil Edilla. Phil came fully prepared with blanks, kits and a whole lot of knowledge. He did a fantastic job getting everyone set up and turning. We all cranked out some great looking pens that will be donated to the Pens for Vets program. Thanks to everyone who participated in this fun event. 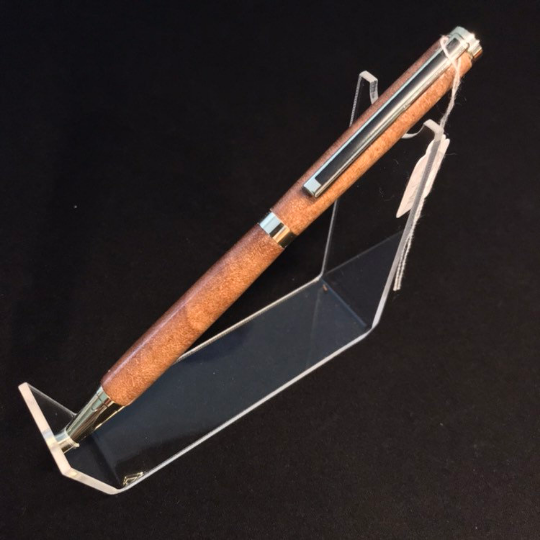 In lieu of the shop day photos, I've added a photo of a mahogany pen I made a week after learning to turn pens. A special thanks to Joe Mikesh for his generous winning bid on the Franck Johannesen dizzy bowl at the April meeting. The club president started this month's meeting with a recap of recent club actions. The CBN diamond sharpening wheel has been ordered and arrived. Routine maintenance has been performed on all lathes. The old projector and portable projection screen has been sold with the monies added to the club coffer. Plenty of new business for the club this month. A PO box for the club has been secured at the downtown post office. Club officers will now work to get all organizations that deal with the club notified of the club mailing address. This will alleviate major issues with change-of-address as the club leadership changes in the future. Two new members at-large have been added the board. Oliver Martin and Craig Meyer both volunteered and will help greatly with keeping the club running smoothly in the future. We still need a Vice President. Interested parties should contact the club president. Finally, board meetings will be held two days prior to the regular monthly meeting at 4:00pm in Dan Alvo's business office. Club treasurer Dan Alvo gave a brief summary of club finances and expenditures. All club finances are now organized in an accounting package and reconciled monthly. 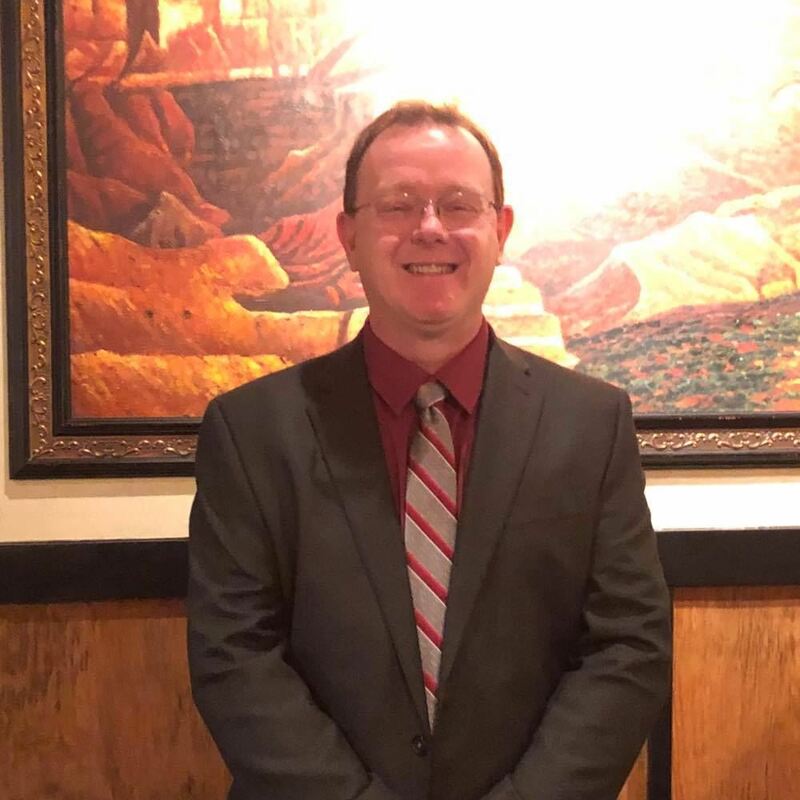 Club member Ralph McKee gave an outstanding presentation to attending club members at the April club meeting. Ralph demonstrated the entire process of turning each piece of the ornament. Ralph was also kind enough to offer up two pre-made ornament kits as the raffle prize for that evening. Everyone in attendance also received a printed handout detailing the instructions to make ornaments of their own. 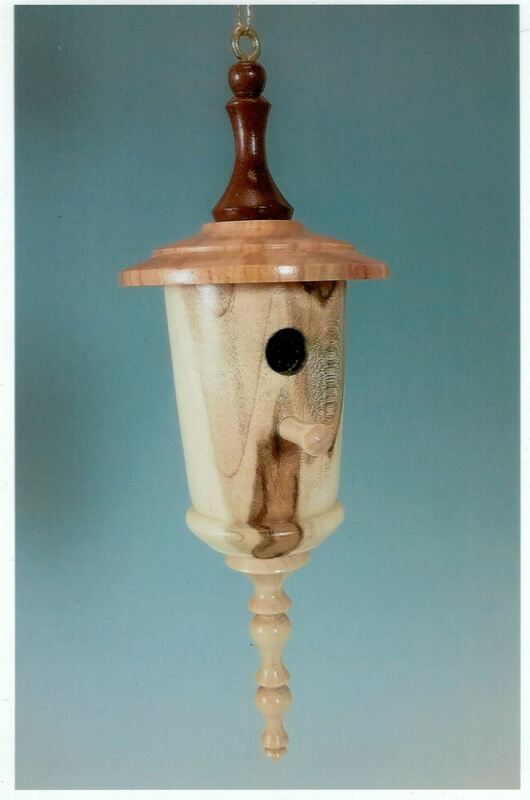 I have been given permission to scan the birdhouse instructions for addition to the club website. Look for it under the Members menu for past presentations. Ever notice how your forstner or standard drill bit emits a high-pitched screech? Often times it happens when you're finished drilling and sliding the bit out of the wood. Just smear a little wax around the head of the bit to cut down or eliminate the screech entirely. The Women In Turning eXchange event is scheduled to take place September 5th - 7th in Gatlinburg, Tennessee at the Arrowmont Arts & Crafts School. Find out more details on the AWW WIT Event page.